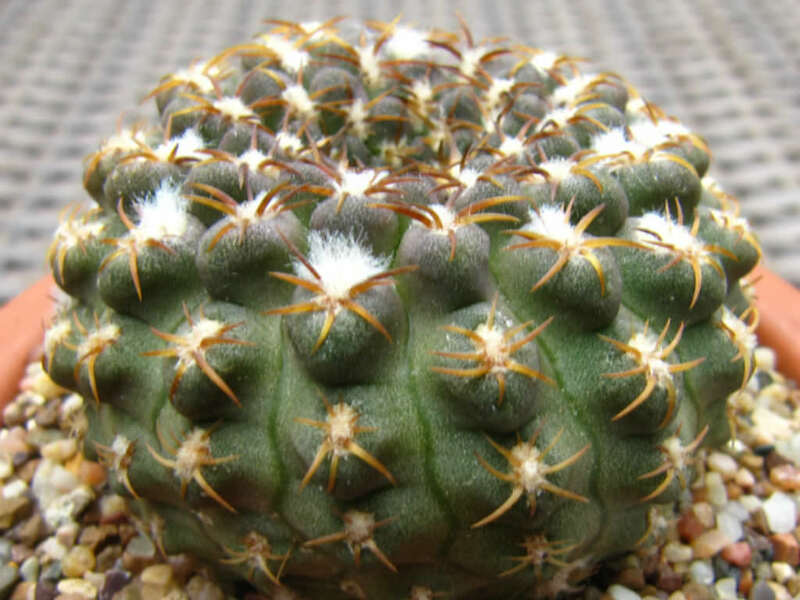 Eriosyce odieri is a grayish-green, geophytic cactus that grow flat to the soil or often in time of drought, shrunken back into the ground. Often it acquires a reddish, purplish, brownish or almost blue-black color due to sun exposure. 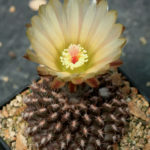 The stem is subglobular (flattened in the upper part) often spineless when old and up to 2 inches (5 cm) in diameter. 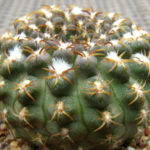 The spines are up to 0.2 inch (5 mm) long, spreading, flattened against the tubercles and pectinate, and not intertwining with those of the other areoles, yellowish, white or pale coffee colored. 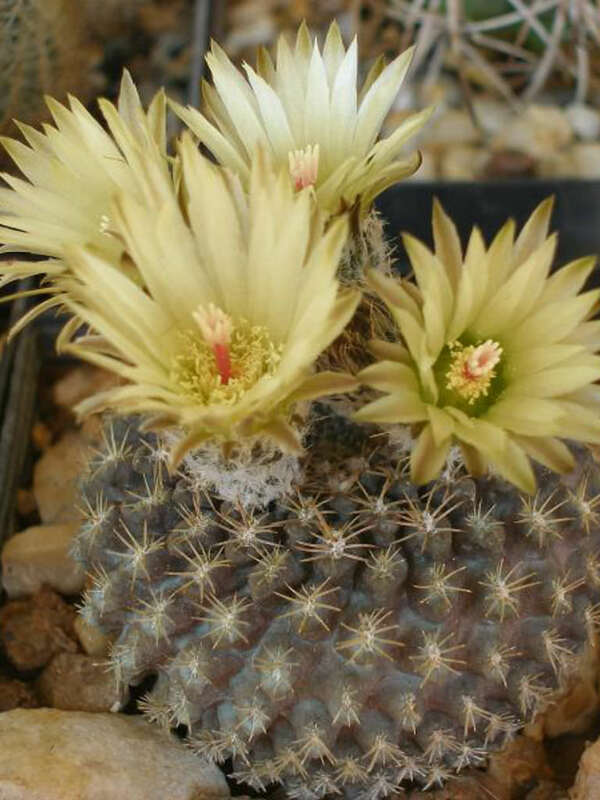 The flowers are funnel form at the plant apex, that open during the hours of sun, pericarpel with small scales and wool, floral tube with abundant bristles, tepals pale colored (whitish, yellow, pinkish or orangish). 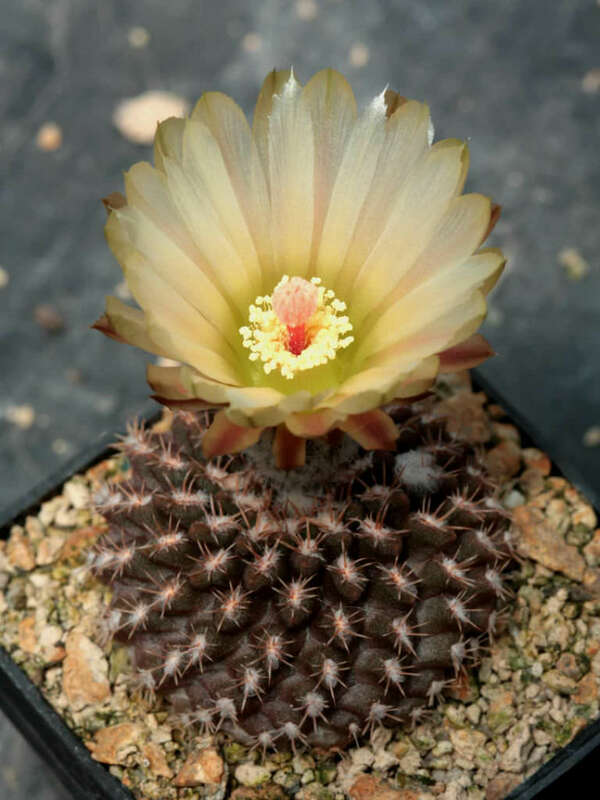 It starts flowering when the stem reach (0.8 to 2.4 inches (2 to 6 cm) in diameter. 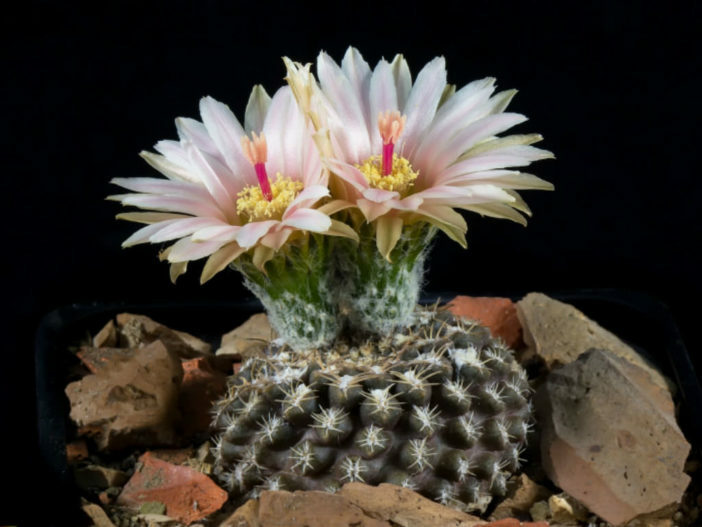 During the summer, water the cactus every two weeks or slightly less often, depending on how moist the soil remains. 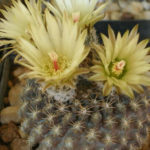 In the winter rest period, cut watering back to once a month, or in humid areas, not at all. One of the key factors in success with these cacti is avoiding any hint of wet soil. Because their root systems are weak, they are especially prone to root rot, which will eventually kill your plant.